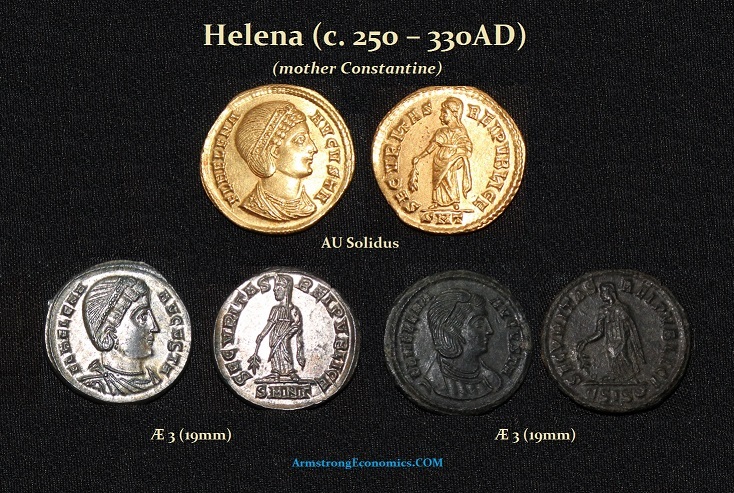 The left coin in this photograph is clearly one of Saint Helena who was the mother of Constantine I the Great. She was a devout Christian who set out to discover the major places in the Holy Land. She built the church in Jerusalem over Calvary and near the tomb of Jesus Christ.